Makeup is Delicious!! 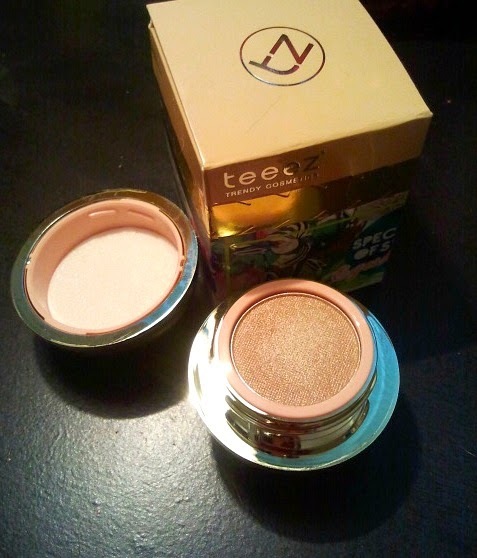 : Review: Teeez Trendy Cosmetics!! Hello hello!! 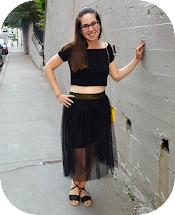 Today I have an exciting review of a few products from Teeez Trendy Cosmetics!! This review is not sponsored but I will point out that I did not specifically buy Teeez cosmetics (or even know about the brand! ), since I received these products in two of my Luxe boxes. But that's the point of beauty boxes right? To discover new brands!! The three products I received are the Teeez Easy On The Eyes Eye Pencil in "Black Deluxe", the Teeez Spectrum Of Stars Eyeshadow in "Vanilla Sunbeam", and the Teeez Chain Of Stones Nail Lacquer in "Toxic Tangerine" (the product names are cute but what a mouthful!). I loved all three of these products. The eye pencil is silky smooth and gives such awesome colour pay off!! This looks just as bold as a liquid eye liner! And the packaging is just fabulous! Not only the box but the product itself is covered in pretty designs. 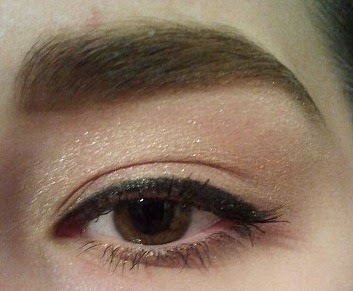 This eye liner lasted almost all day, however near the end of the day it did transfer to my lid. Maybe if I wore a thinner line I could avoid this problem?? Other than that, I really like this liner. 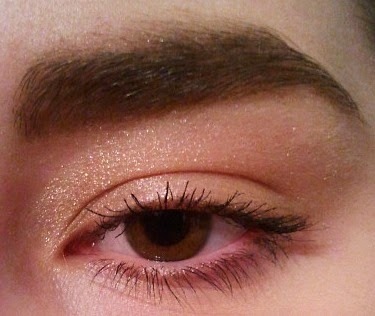 This eyeshadow is SUCH a perfect everyday shade. It's also super shimmery and I am a huge fan of shimmer!! It lasted all day long without any problems. And how cute is the little golden ball packaging?? I would definitely recommend it! Finally, the nail lacquer is beautiful. The brush is great, not too thin or too wide. The formula is completely opaque after two coats. In the first picture I have two coats of "Toxic Tangerine" on without a top coat. Look at that shine!! In the second picture I added some glitter, this is "Lights, Camera, Action!" by A.Co. My mani lasted a good four days before I noticed any chips. oh, most of all I like that nail polish, it's so shiny and chic, indeed. Eyeshadows are very pretty too, such a tint would go well with anything:) Thanks for sharing, I didn't know about this brand before. You have gorgeous thick brows! Need to grow mine out a bit, lol! Never heard of this brand before, but I'm from the UK so they might just be Canadian/North American.